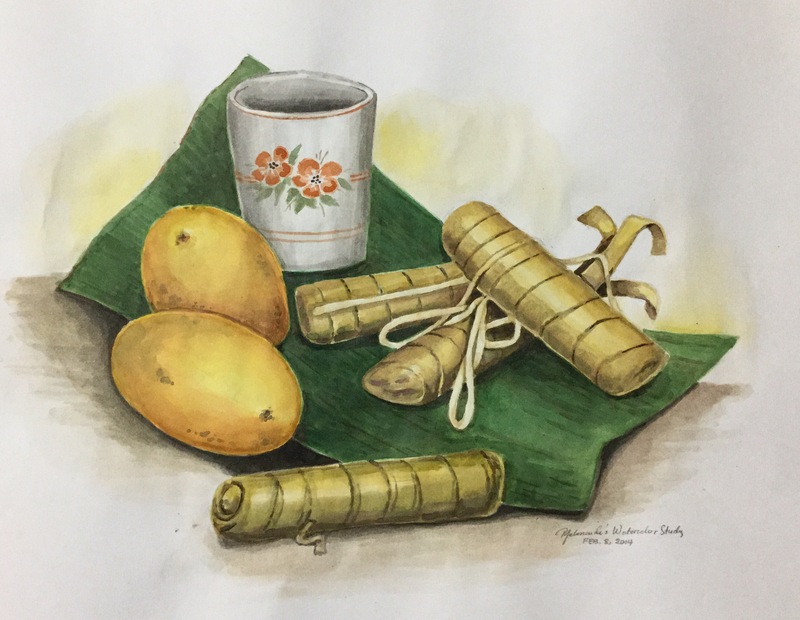 Mangoes are easily available in our tropical country – Philippines and suman is like a sticky rice that you dip on sugar. (LOL I don’t know if I described it properly). Anyways this is just a study work and not an original. My uncle asked me to copy his watercolor painting as a lesson. I found it challenging to mix colors for the suman. I thought I would finish this longer but I was wrong…. I finished it today! Woo hoo! It’s our national holiday in the Philippines (Labor Day) so, I had the whole day dedicated to this portrait. I had little distractions like playing Candy Crush on Facebook, but I am so glad I finished this portrait. I haven’t applied fixative yet, I might find something to retouch on it tomorrow morning. Aside from that the smell of fixative isn’t nice, it’s a bad idea to use it and smell it’s insecticide-like smell before going to sleep. There it goes, the owner of this portrait will look at it tomorrow for final touch if there’s anything she’d like to add or revise. Yeah, I’m glad I’m done. Thanks for stopping by my site. Have a great day!